Anna Yegorova is ninety-eight years old. She defended Leningrad all nine hundred days of the Nazi siege of the city during the Second World War. 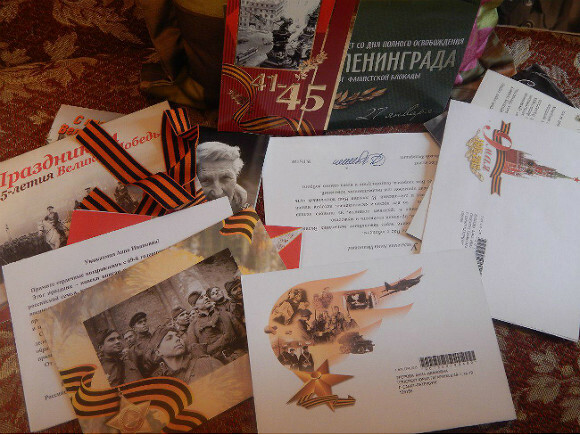 On the seventy-second anniversary of Victory Day, the combatant did not even get postcards from the government. But there was a time when she wrote to Brezhnev—and got a reply. Anna Yegorova was born in 1918 in the Kholm-Zhirkovsky District of Smolensk Region. When she was ten, her parents decided to set out in search of a better life and moved to Leningrad with their daughter. They settled in a wooden house near the Narva Gates on New Sivkov Street, now known as Ivan Chernykh Street. Yegorova finished a seven-year primary school and enrolled in the Factory Apprenticeship School, where she graduated as a men’s barber. “Oh, what beards didn’t I trim in my time,” the Siege survivor recalls. After acquiring a vocation, the 19-year-old woman married Alexander Vesyolov, a worker at the Kirov Factory. As soon as the war broke out, her husband volunteered for the first division of the people’s militia. Nearly the entire division fell in battle during July–September 1941 on the southern approaches to Leningrad. Vesyolov is still officially listed as missing in action. Yegorova was drafted into the air defense brigades at the war’s outset. The young woman served in a basement, equipped with seven cots, in one wing of the Kirov Factory. It was the headquarters of the local air defense brigade. 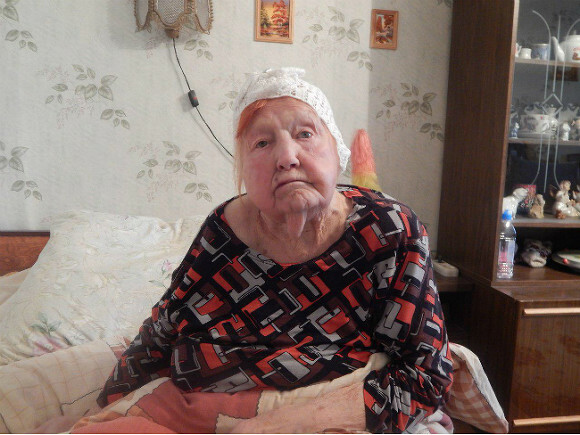 Yegorova still remembers the war’s outbreak, her military service in the besieged Leningrad, and victory in May 1945. “How did the war begin? We were going to the cinema, but my mother told me I should go to the factory instead. Then I got a notice stating I had been drafted to serve in the headquarters of the local air defense brigade at the Kirov Factory. I spent all nine hundred days there. I was able to come home only once a month. My parents starved to death. Dad passed away on February 3, 1942. He was a first-class carpenter. His comrades made him a wooden coffin: they could not bury a carpenter without a coffin. Mom died a month later. They just carried her off to the Volodarsky Hospital in a blanket. I don’t even know where she is buried. Maybe at the Piskaryovskoye Memorial Cemetery, maybe in Moskovsky Victory Park,” says Yegorova. Her duties included running to other parts of the city to deliver dispatches, carrying the wounded, and standing on guard at the factory, armed with a rifle. The young woman would look into the sky and watch what planes were flying overhead: planes emblazoned with red stars or planes bearing black crosses. Once, during a heavy bombardment, she was shell-shocked. “I still remember how we chopped up houses in the Kirov District. Once, a girlfriend and I were dismantling a house near a railroad bridge, and a woman called out to us, ‘Girls, girl, come here, come.’ We didn’t go: we were scared. There were all kinds of people back then, you know. 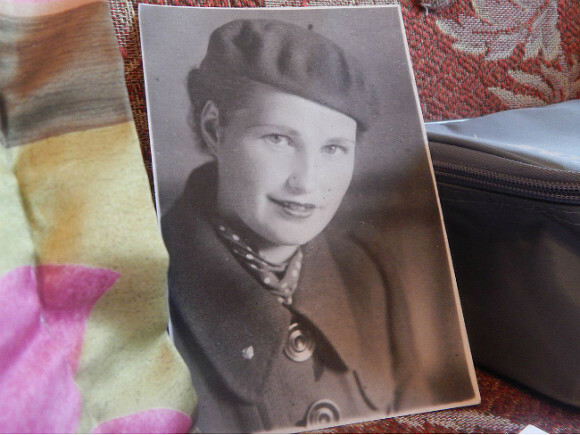 Once, this girl stole my food ration cards, and my mom’s earrings were also stolen,” recalls Yegorova. The Siege survivor recounts how she would travel to the Krasnoarmeysky Market to buy linseed cakes and oilseed meal. 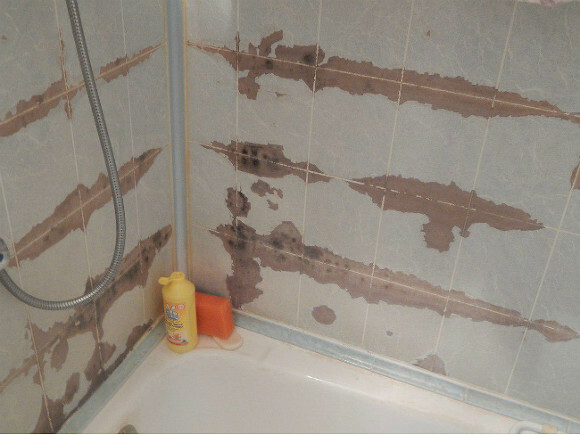 When Victory Day arrived, her house was nearly totally destroyed. Only an ottoman was rescued from the ruins. Yegorova remarried after the war. Her new husband was a military officer, Nikolai Yegorov, who had fought not only in the Great Patriotic War (Second World War) but also the Finnish War (Winter War). 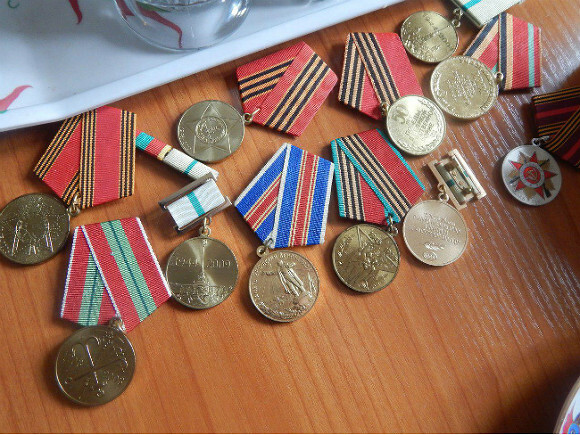 In peacetime, Yevgorov became a first-class instrumentation specialist. In 1946, the Yegorovs gave birth to a daughter, Lydia. Yegorova worked as a secretary at the Kirov Factory, latter becoming head of a bread and confectionery department at a store. In the late 1960s, Anna Yegorova wrote a letter to Leonid Brezhnev, secretary of the Central Committee of the Soviet Communist Party. The essence of the message was as follows. 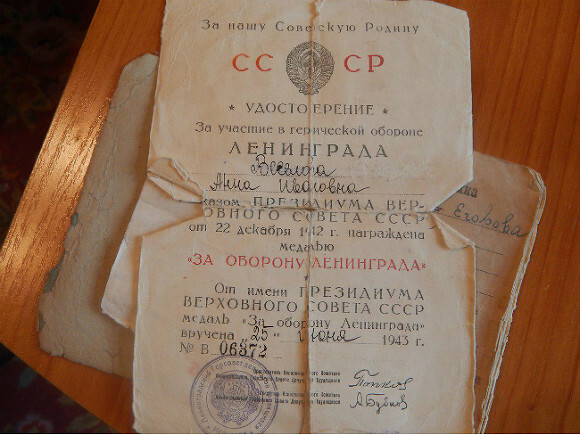 Yegorova does not believe her letter reached Brezhnev personally, but she does think it wound up in the hands of a “kindly” secretary who helped the family move into a one-room flat in the far southern district of Ulyanka. She lived in the neighborhood for around thirty years. She was civically engaged, working with Great Patriotic War veterans. She says she even worked as an aide to Sergei Nikeshin, currently an MP in the St. Petersburg Legislative Assembly, who was then quite young. Nikeshin and she inspected the fields then surrounding Ulyanka. In 1996, Yegorova took seriously ill. She was struck down by deep vein thrombosis. Her left leg “was like a wooden peg.” Her husband Nikolai died in 1999. “After that, Mom stayed at home. I took care of her. This is my cross. We would take her to the dacha only in the summer. Otherwise, she would move about only in the apartment. She would get up in the morning and make her bed, come into the kitchen and sit down on the couch. She would turn on and call the station to request a song. She loved Boris Shtokolov’s “Dove.” Or she would request “A White Birch Weeps,” or something by Nikolai Baskov. But a month ago she took to her bed. Now all she does is lie in bed,” recounts her daughter Lydia Kolpashnikova. Kolpashnikova is herself a pensioner. She has a third-degree disability. According to her, Petersburg authorities have practically forgotten her mother. True, three years ago, the Moscow District Administration called and said she could get a wheelchair. The women’s joy was short-lived. It transpired that the wheelchairs were used: they had been brought to Petersburg from Holland. To make use of the chair, they would have had to pay to have it repaired. The women decided to turn the gift down the gift. Yegorova has received no substantial help from the local Siege survivors society. The organization can only offer trips to museums and theater tickets. 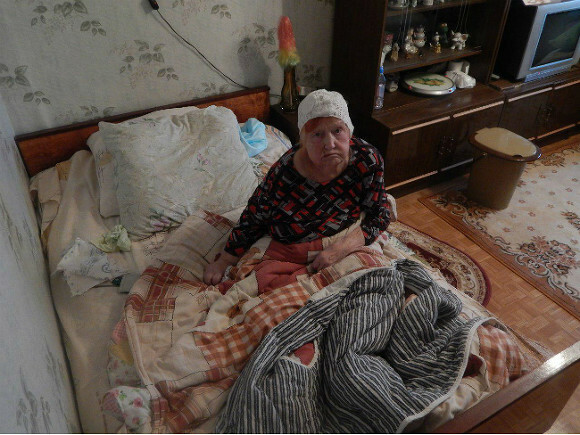 This is not an option for Anna Yegorova, who is in no condition to leave her apartment. On memorial days—the Day of the Lifting of the Siege and Victory Day—however, cakes used to be brought to her. But this time around, however, she was completely neglected. According to the pensioner, the city did not even congratulate her. Yegorova’s daughter Lydia decided to remind the authorities of her mother’s existence after hearing President Putin’s speech on TV. The president demanded that the heads of the country’s regions do a better job of caring for Great Patriotic War veterans. Anna Yegorova gets gifts from the authorities only on round dates. When she turned ninety, they gave her a towel, and they presented her with bed linens when she turned ninety-five. “I called them in the autumn. I said that Mom would be turning ninety-eight on November 25. I suggested they come and congratulate her. They said to me, ‘We don’t have the right. When she turns one hundred, we’ll congratulate her,” recounts the Siege survivor’s daughter. Anna Yegorova does not want to ask the authorities for anything.